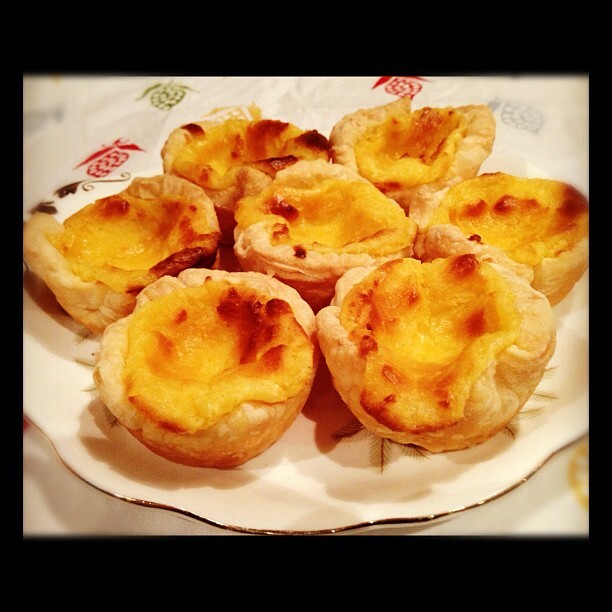 The second part of my Portuguese feast was to create delicious Pastel de Nata or Portuguese Custard Tarts. It’s thought these gorgeous tarts were created before the 18th century by Catholic monks in Lisbon. They were looking for a way to use up the excess egg yolks that came as a result of all the whites being used to starch nun’s habits and in winemaking. Pretty cool by-product if you ask me! 1. Heat over to 200 degrees. 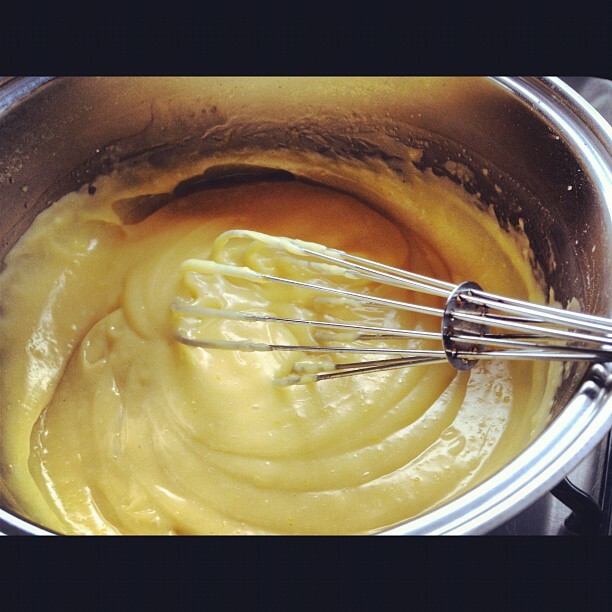 Whisk egg yolks, sugar and cornflour together in a saucepan on medium heat. Gradually add the milk and cream. Keep whisking continuously until the mixture boils and becomes thick. Remove from heat and add vanilla. Set aside to cool and cover with cling film to stop a skin from forming over the custard. 2.Cut the pastry sheet in half, placing one on top of the other. 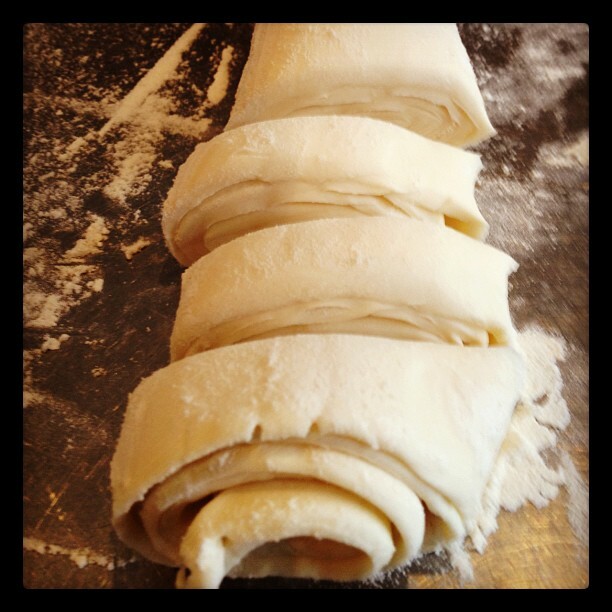 Roll up like you would a swiss roll, then cut the pastry into 12 even sized pieces. Roll each piece out to 10cm diameter and place in a greased muffin tin. 3. 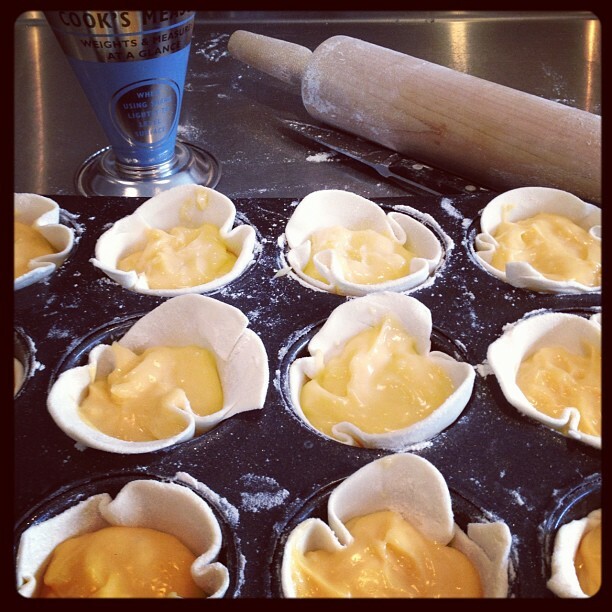 Add the cooled custard to each pastry shell. 4. Bake for 20-25 minutes, until the custard is browning on top and the pastry puffed up. Remove from oven and cool in tin before removing.